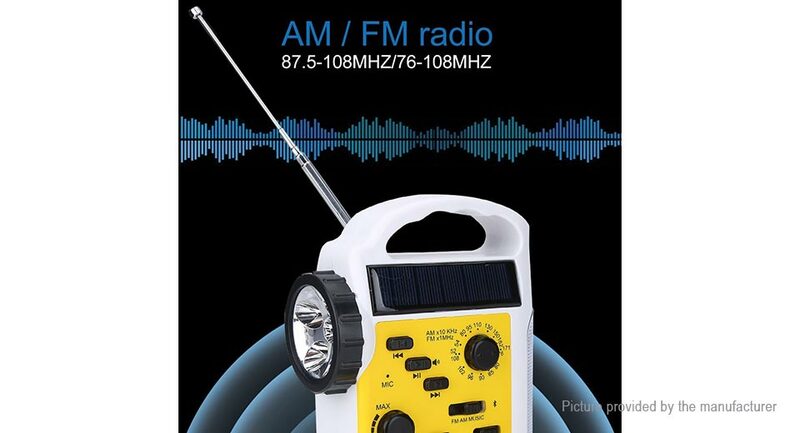 Made of quality materials with creative design, portable, lightweight, durable. 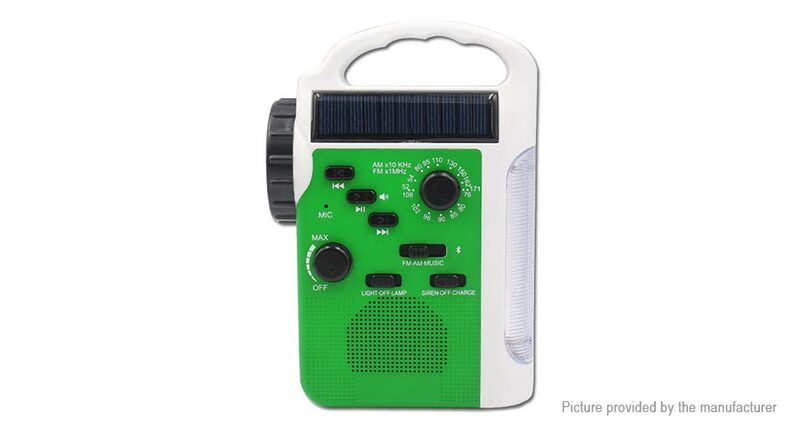 For the radio, first pull out the antenna, and turn the AM/FM switch and turn the knobs for channel and volume adjustment. 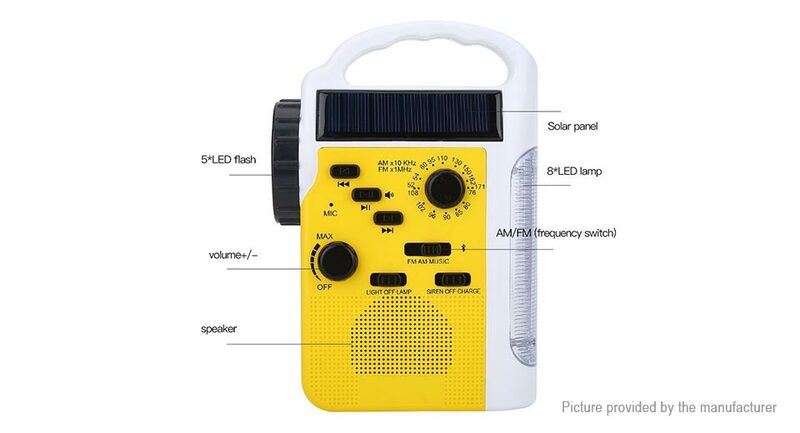 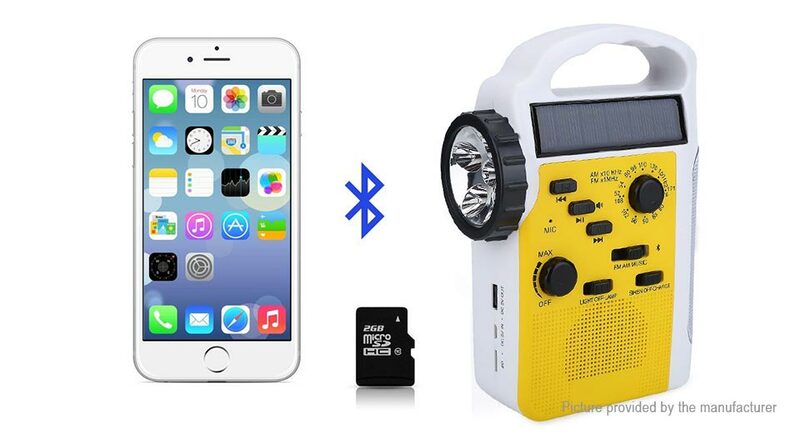 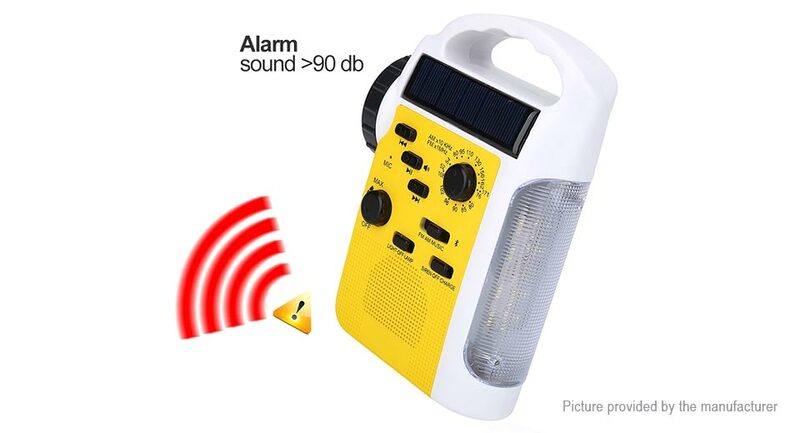 It's a bright LED lamp and flashlight, also a radio for receiving information, a alarm for calling help, and dynamo generator for charging cellphones, a portable audio box supports bluetooth & TF card for music playing. 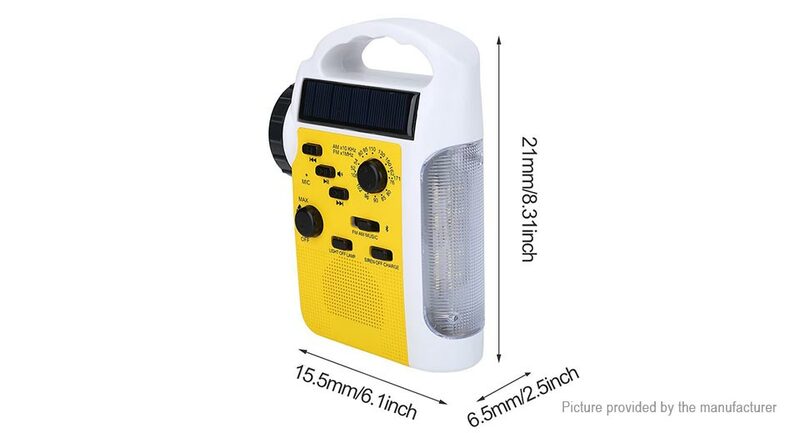 The clear lamp shell is good for offering gentle illumination, with a handle for holding with hands or hanging, the flashlight light head can reflect light for far distance. 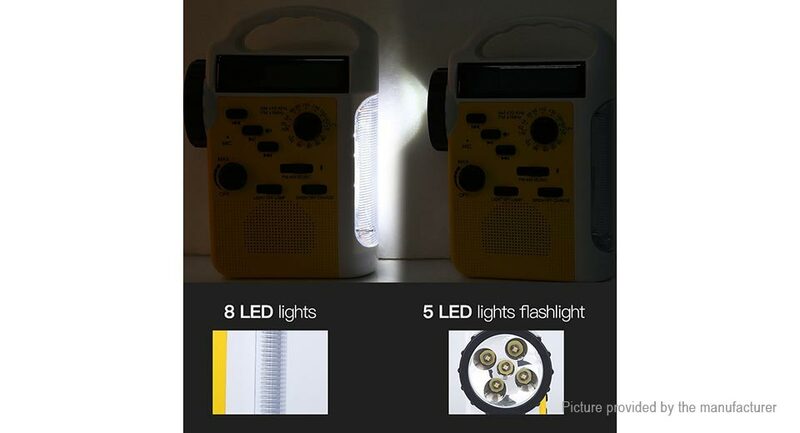 The adopted LED beads are of good quality, bright with long service life. 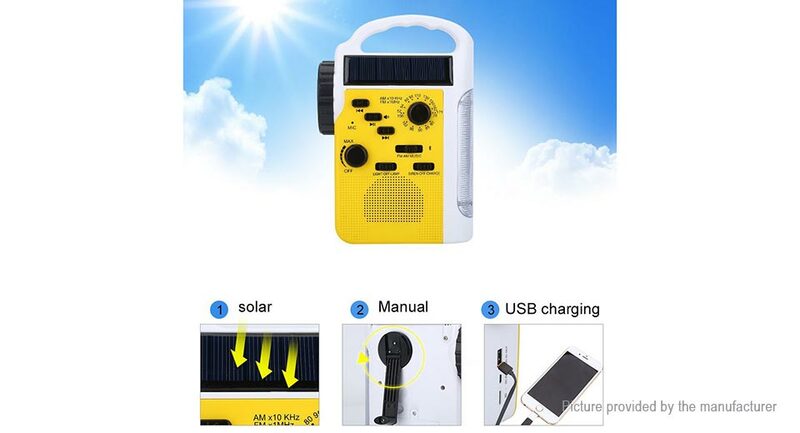 Supports 3 kinds of charging, can offer you power supply in any harsh condition. 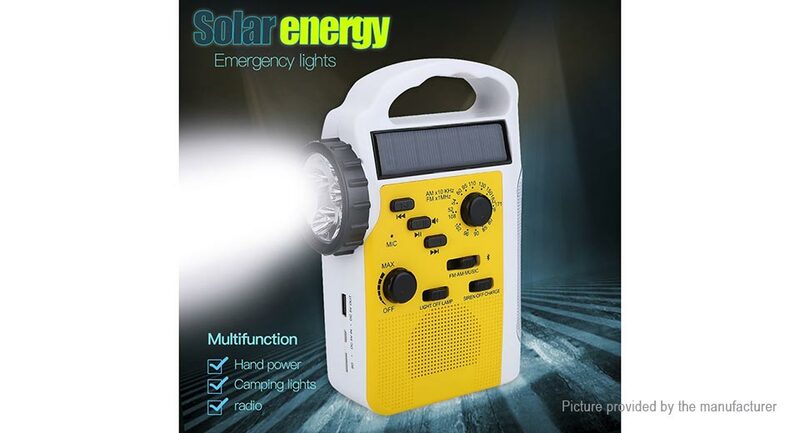 Multi-function and compact, suitable for outdoor and emergency uses.